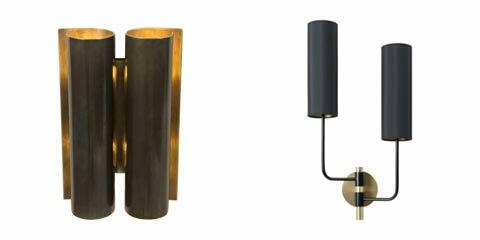 You are warmly invited to visit us on Stand D18, where we are showing our latest contemporary lighting designs. 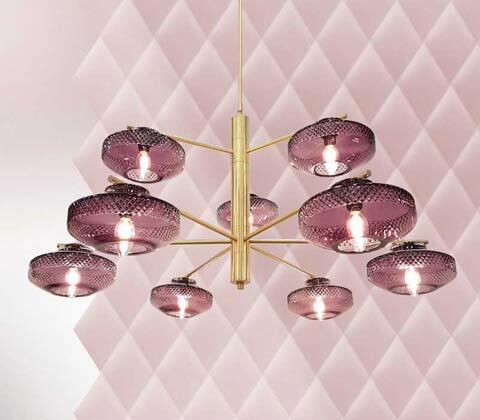 Highlights include the debut of LILY, an exciting contemporary crystal chandelier with crystal sconces, the Modernist inspired METRO chandelier designed in custom sizes for stairwells, the METRO and FROST wall lights and the launch of the Deco Memphis inspired CAIRO light collection. Martin Huxford Studio specialise in unique modern designs for luxury hospitality projects and private residences. 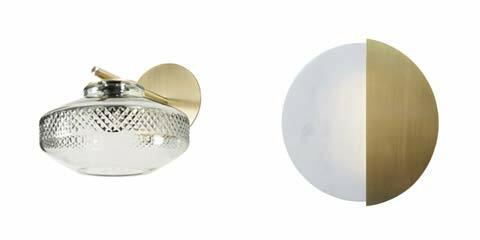 Designs are made to order at our studio workshop in England, drawing on our extensive experience of working with metal, marble and mouth blown English crystal with our team of highly skilled craftspeople. Lily chandelier with amethyst mouth blown English cut crystal, brushed brass arms.